When I saw the name of this game, I was pleased it came up early in my IFComp 2011 random play list, whatever it was about. It turned out to be the sort of thing I like. The puzzles made me laugh, even when I felt they didn't quite work. Most do. And this uses some of what makes text adventures unique. The only plot in the game is to figure how it's messing with you. There's some back-story about the house getting steamrolled to make way for a mall, but that's mostly for expedience. When faced with the actual first room description, I was immediately jolted. It works. Another room contains a color-related puzzles with potentially dated, but likeable, puzzles, and the final one--where you have to open a door to leave--may have had opportunities for a few more items, or a more complex interaction. Describing what happens would be a spoiler, but once I learned the rules I was slightly disappointed to learn "is this it?" These are a lot more complaints than I really voiced playing the game. My emotional reactions were "Oh, neat, you do this--or maybe you do this or that--and I see how this clue should've fit in if I were paying attention." Plot may've gotten in the way of the puzzles, here. I have to admit, I'd be very glad to write a word-puzzle game this good. And I'm doubly impressed someone wrote it in what is not their native language--and wrote it with very few grammatical errors. 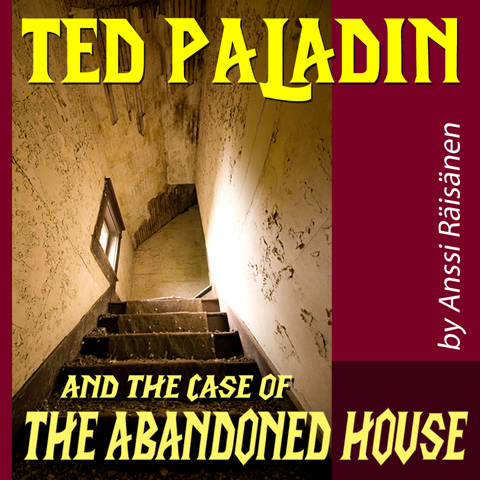 I hope Ted Paladin is called into action to navigate a maze or somewhere else that's been "done already," in the future. It'll likely be done differently enough to enjoy. Slightly above the average 3 stars here. With a hat-tip to the cover art for possibly being stairs that go up or down. It's a cool illusion and captures the ambiguity you need to resolve in the first and last puzzle rooms quite well. This game is very good, similar to Ad Verbum, although I found it underclued and a bit frustrating. There are three rooms with three challenges (after a brief intro). In the first room,... well, it might be more fun to play through. Suffice it to say, it's almost like a test for adventurers based on standard IF tropes such as room descriptions, object names, and so on. There was a sequel in 2017 with similar puzzles, which were also good.